If you don’t already know, TSUBAKI reached their 10th year milestone! 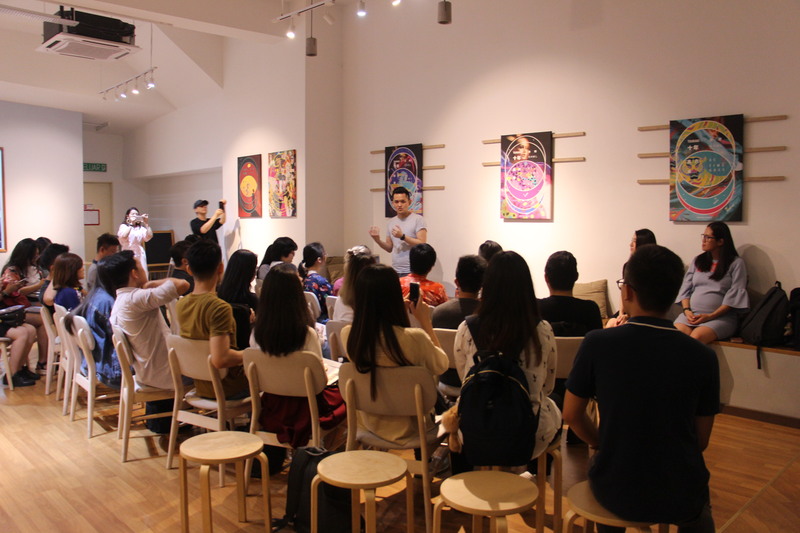 To commemorate this significant achievement, TSUBAKI has held exhibitions in Taiwan and Japan, showcasing their art and design that were created in these past ten years. 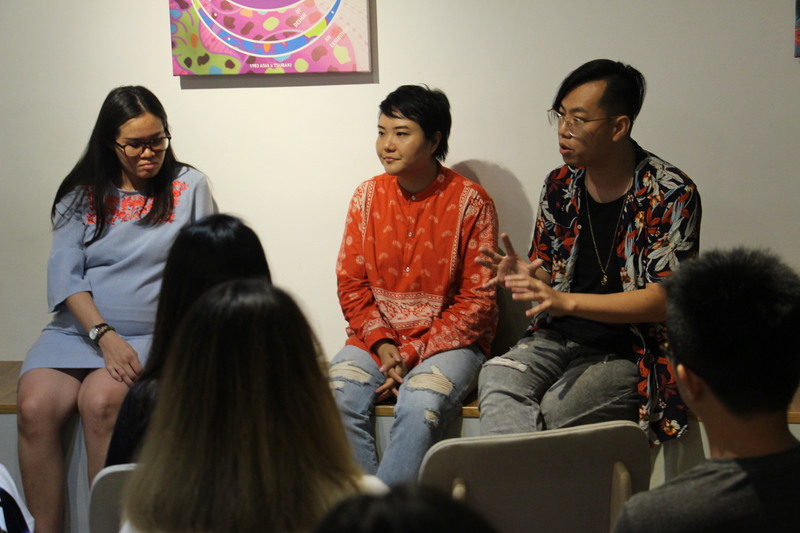 There was no exhibition in his home country Malaysia, however, as Jay Lim (founder of TSUBAKI) wanted something more intimate. Over the years, Jay has met many people who were very supportive of what he does and have helped TSUBAKI grow in different ways. As a way of showing his appreciation towards them, Jay decided to have a small sharing session to chat about his journey. 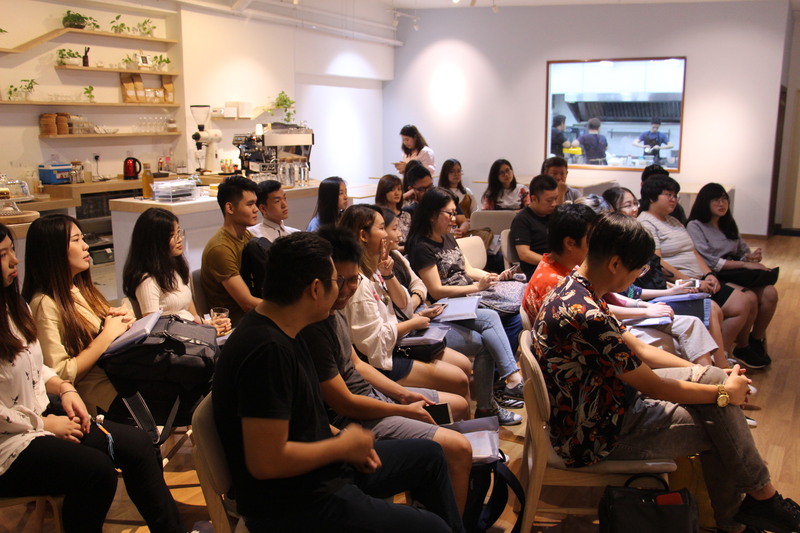 On 26 May 2018, Jay invited old friends, former and current employees of TSUBAKI, and anyone who has been a part of this journey to join him for a chitchat at the Littlepeople café. 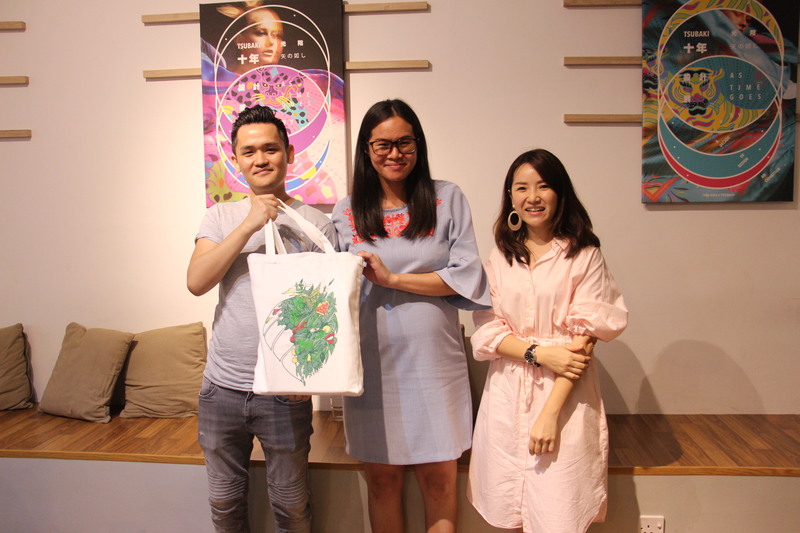 Lucky enough, the chitchat session was made to be more meaningful with the participation of China-based graphic designers – Song Yao and Su Su of 1983 ASIA – who were in town during that week to conduct a two-day workshop with SEKOLAH, a learning platform that was set up by TSUBAKI. On that lovely evening, everyone was sat in a close circle and listened to Jay and Vivian as they shared stories about how TSUBAKI started, the ups and downs they faced and some memorable incidents. The crowd had a few laughs along the way. Yao and Su Su also talked about how they just clicked with Jay and Vivian and became good friends since then. It was raining outside but everyone felt warm and joyous inside the café. Jay and Vivian took this chance to thank their friends for coming together to walk down the memory lane together. Without the help of these people along the way, TSUBAKI never would’ve made it this far. 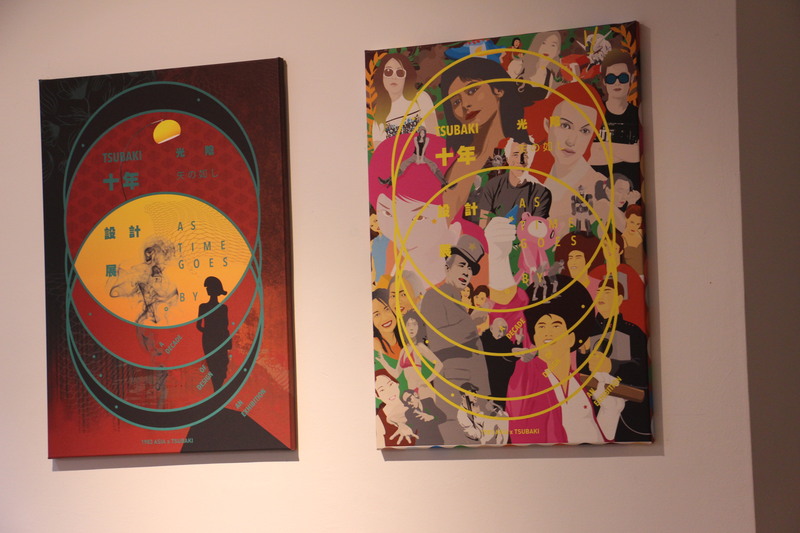 For this meet-up, TSUBAKI and 1983 ASIA did a crossover to design seven stunning artworks and printed them on canvases. These artworks were exhibited at the Littlepeople café for over a week. 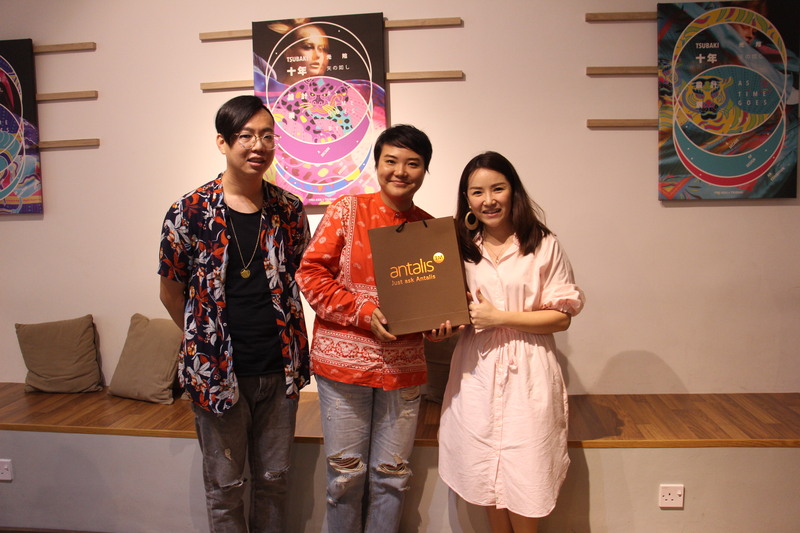 We wish to give our special thanks to the founders and staff of Littlepeople café for providing us the space and food, and Antalis Malaysia for the lovely door gifts.